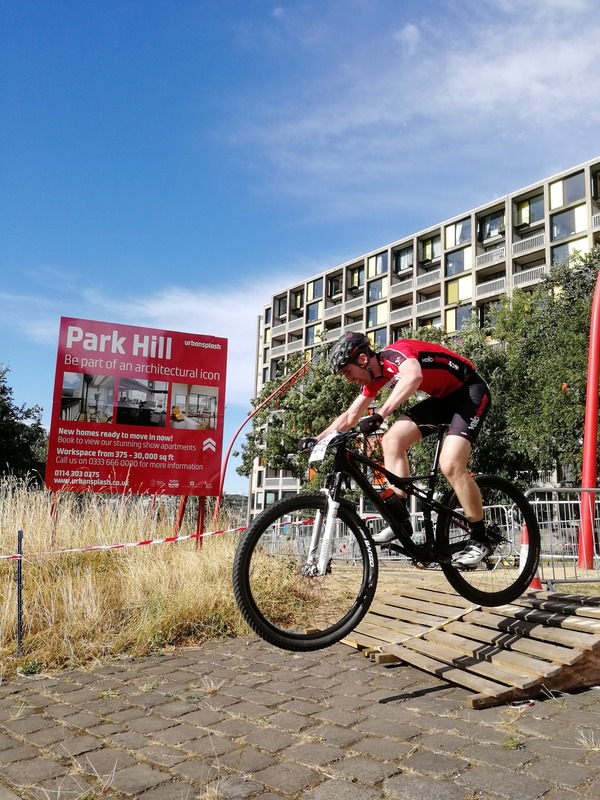 PHCX 18 – RESULTS and race report – Sheffield Urban CX 2018 – Entries Live! 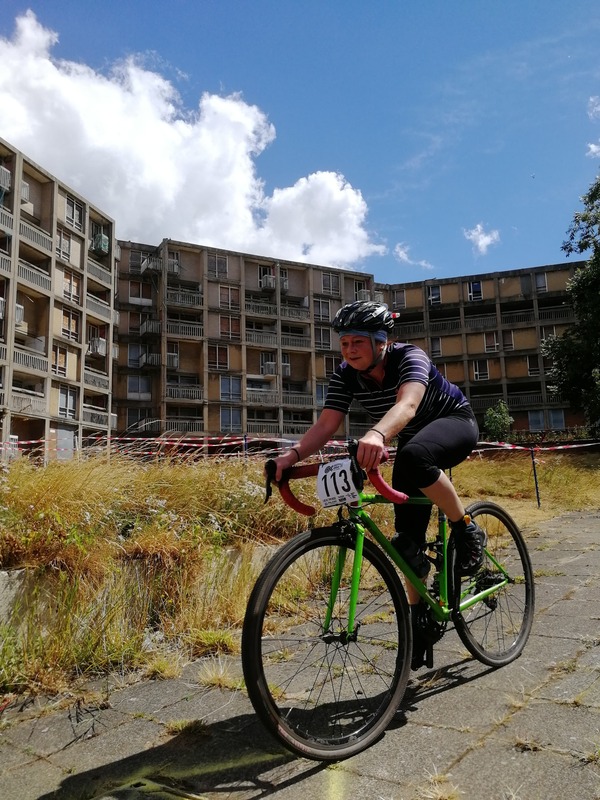 28th July 2018, the second Park Hill Urban CX, with a few additions that drew more spectators and riders who were ready to take on an extended course and see the action unfold. We were joined by J E James Cycles this year, who were supporting the first ever (as far as we know) northern Brompton Urban Dash. This was a perfect tie in with the newly refurbished Sheffield store, now recognised as a Brompton cycles premier dealer. Park Hill developers Urban Splash gave us greater access to the phase 2 part of the site which meant an extended course and even more opportunities for some heroic riding through the twists and turns this tight technical part of the course, a contrast fast cobbled descent and punishing cobbled climb that greeted the riders at the start of the course. The days racing started off with the junior categories and it was fantastic to see these young riders battling for the win. 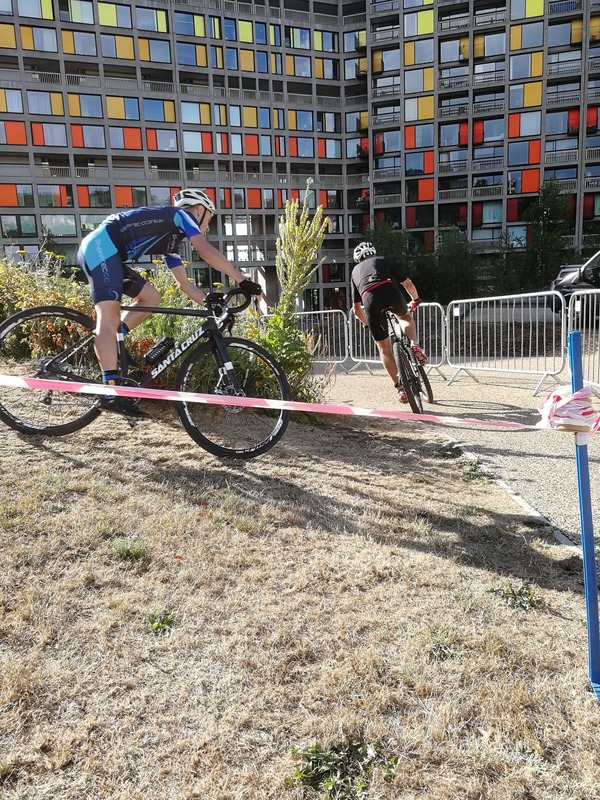 The 6-11 category course took in the top part of the course into phase 2, before looping back by the new home of S1 Artspace and back onto the finishing straight. This was the first race that many of these young riders had tried and there was some great camaraderie between the more experienced junior racers and the newbies. The 12-16 race was spectacularly hard fought, with the riders taking on the full adult course. Thanks to Veloviewer again for supplying equal boys and girls prizes in both junior categories. The Amateur men’s race drew the biggest field of the day with over 30 riders packed in on the South Street start line. The changeable (aka typical British Summer) weather meant that the wind was blowing down the start line. With Park Hill being located, well, on a hill the vista over Sheffield, The Outdoor City, meant the black clouds could be seen approaching, all part of the urban cx challenge / experience. Again for this race the field was made up of experienced racers and new racers. 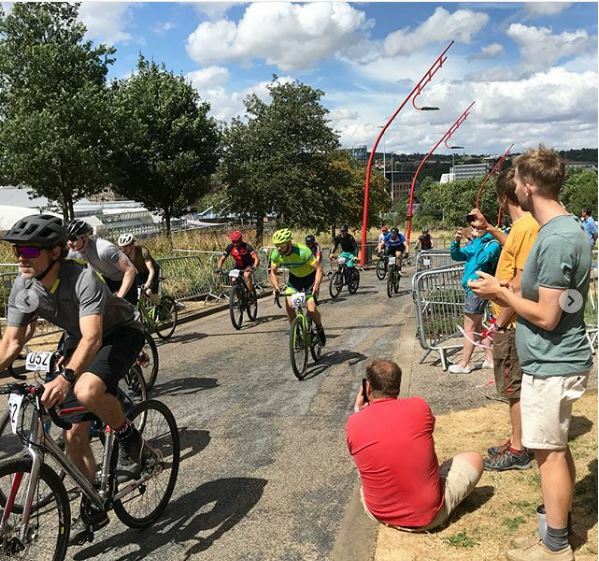 We love to hear the feedback from the riders and it’s great to see riders for who the Kelham Island race was their first foray into cycle sport, coming back for more. The field started close and as they approached the ‘Howard Street Rollers’ into the cobbles had thinned out slightly, there was still elbow to elbow action, with the racers marking their quarrie for the ‘Whippet’ cobbled descent; a test of nerve to get the speed on the descent to take advantage of the energy saving momentum before the start of the punishing ‘reyt un’ cobbled climb. Then the contrast begins, the course goes into the ‘phase 2’ area of Park Hill. Next in line to be redeveloped the buildings in this section have been uninhabited for years, with the last two residents moving out in 2015! The wind now blows through the now empty corridors of this sleeping concrete giant. The course takes on a more traditional CX feel here as the riders take on the twists and turns of a course cut into the long grass. The turn after energy sapping turn calls for stamina and focus, it was great to see some of the riders spotting the subtle overtaking opportunities we had mowed into the grass parts of the course. By this mid point of the lap the field in all categories was strung out but there were still some great battles between closely matched riders, one of these being Vet Men’s winner Killian Lomas and second place Dr Rob Copeland from Sheffield Hallam University’s Health and Wellbeing faculty. With two rounds per category and 4 to 5 laps per round, concentration, focus and stamina were all put into play by the riders. It was all pretty intense up until the mid program race which was another innovative first for Sheffield Urban CX. We teamed up with longstanding local cycle retailer J E James Cycles to deliver the first Northern Brompton Urban Dash. A Sheffield Urban CX take on the Brompton race format held in London. We were kind to the riders in this event, starting from a half fold and missing out the cobbles, riders still took on the rest of the course which included tarmac, grass and cobbles. We thought we may have pushed it too far for these sartorially dressed competitors, however the smiley race faces that came round on the second lap put us at ease. With prizes from Brookes for best dressed rider it wasn’t all about who was first over the line but also who crossed the line looking stylish. Some fashion faux pas like poor color coordination with cycle helmet and jacket were given short shrift by the judges, (Love to Ride’s David Bocking being particularly damning). This race drew a good lot of shouts and cheers for the riders and is definitely a format we are going to weave into some of next years races. If you want to experience the Sheffield Urban CX atmosphere then there is one more round to go. September the 9th will see the riders take on a more conventional CX course at The Olympic Legacy park. This is a great chance to test your kit and fitness at the start of the Cyclo Cross season. No national points at stake, just good wholesome grassroots racing in a great friendly season opener. ENTER HERE for Junior, men’s and women’s categories.